A couple months ago, the Korean skincare company ONEOSEVEN contacted me about trying some of their products. I’d seen them on Instagram and at the time they were being featured at the Nordstrom KBeauty Pop-up, so my curiosity was definitely piqued. The fact that this brand focused on anti-aging without being stuffy or old-fashioned also really appealed to me. All the products from the ONEOSEVEN brand center around naturally fermented vinegar. I’m not clear as to what the scientific basis is for vinegar being good for skin, but it’s certainly a traditional medicinal ingredient that has great anecdotal support behind it. I remember visiting Asia with my mom, and her friends would give us bottles of specially fermented fruit vinegars to drink, telling us it would boost our immune system, help us lose weight, etc… Kind of how a lot of people will drink a tablespoon of apple cider vinegar every day for the natural health benefits. I’m personally really attracted to companies that combine traditional ingredients with modern technology. It may be just really smart marketing, but it works on me haha! I received the ONEOSEVEN Coreflex Cream Essence and the Snow Masks. I may review the masks at a later date, but I’m going to focus on the essence in this review. The ONEOSEVEN Coreflex Cream Essence won the grand prize at the 2016 Anti-Aging Expo, so it’s definitely known for its anti-aging properties. It comes in a beautiful plastic pump bottle. I love the vintagey design and the convenience of the pump. The ingredients are listed on CosDNA. 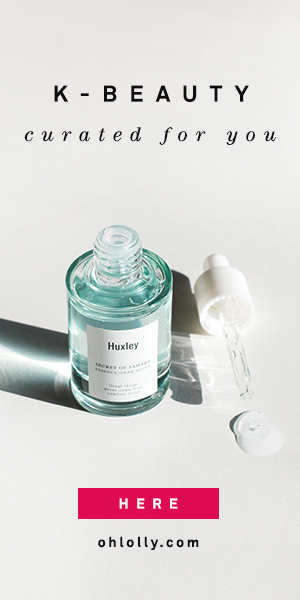 Notably, this essence contains squalane as the second ingredient, as well as arbutin, botanical extracts, and retinyl palmitate. Squalane and arbutin are some of the ingredients that agree most with my skin. Squalane oil works great for moisturizing but doesn’t feel heavy, and arbutin is great for lightening dark pigmented spots. There probably isn’t much retinyl palmitate in this (a gentle form of retinol), but because retinols can be photo-sensitizing, be sure to wear sunscreen during the day. Vinegar is the last ingredient. The ONEOSEVEN Coreflex Cream Essence is a viscous white creamy liquid. It has a sweet scent that I don’t particularly care for, but it does dissipate quickly after application. It feels thick and creamy and luxurious going on. Where this essence truly impresses is in its absorption. Based on the creamy texture, I expected the ONEOSEVEN Coreflex cream essence to sit on top of my skin for a while and to need some good massaging and patting to absorb. Not so, my friends. This creamy essence absorbs faster than most of my watery essences and serums. It’s quite astonishing, actually. Almost as fast as I spread it over my face, it disappears. Once it fully absorbs, it leaves next to no residue on top of the skin. But what it DOES leave behind, is skin that is remarkably tighter and firmer. I mean that in a GOOD way. My skin feels tighter not because of dryness, but more taut in a youthful way. In fact, after I apply the ONEOSEVEN essence all over my skin, my face looks younger, firmer, smoother, and more bouncy. I’ve never tried another product that gave this kind of instant firming effect. I don’t find that this essence is quite enough in terms of hydration, so I definitely layer some watery toners and essences before the ONEOSEVEN Coreflex cream essence, but the immediate firming effects are incredibly impressive in this product. And because it doesn’t leave much residue, it’s easy to layer other products on top, like an emulsion and/or a cream. The ONEOSEVEN Coreflex Cream Essence is a really unique product. More than any other anti-aging product I’ve tried, it gives impressive immediate firming results. If you’re interested in anti-aging products, and you have skin that could be plumper and firmer, this is a great product. Unfortunately, it’s priced like an anti-aging product, which is to say, it’s quite expensive at $67. But if you’re going to splurge on one item in your routine, I would suggest spending more in the essence or serum step, and being a little more frugal with your cleansers and toners. I received this product free for review. All reviews constitute my honest opinion, as always. I’m sold! This review speaks to everything I am looking for in an essence. It is a bit of an investment price wise but it looks worth it and fills a hole in my routine. It is really a very unique essence! It is unfortunate that it is so pricey but it has got a ton of good ingredients in there! What was the product you found? Cause I’m definitely interested! I’ve heard about this brand before but I’ve never tried it. The essence sounds really good – the ingredients are interesting but the price is quite big. Right?! Great, clean ingredients list though! I was thinking yes! I need this and then I saw the price and I went no, maybe I don’t need it that much. LOL! I love the results it gave you but not so much the price. Ugh I know, why must anti-aging products be so pricey? And I think this brand is aimed at the more luxury market (it’s sold in department stores). I need to find an essence that does this at half the price!